We found Paola alone with her little brother Jhonatan locked up the entire day. She was malnutritioned and short, they had nothing to eat. Her mother sold candy on the streets. She went to school but dropped out for a year, because the mother didn’t have enough money. 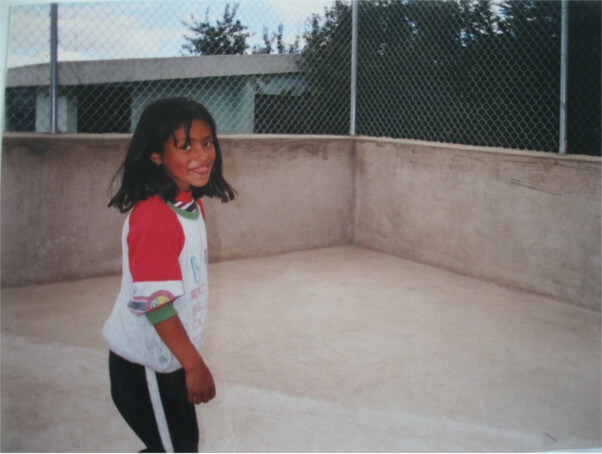 The Refugio supports her with a scholarship and follows up with her school to make sure that she keeps going. When the family moves to a different part of town, she stops coming to the Refugio, but we still help her with her studies, healthcare, and visit her at home. When the father robs them of everything they own and leaves, Paola’s brother looks after her and supports their mother. She graduates from high school, and as she is interested in beauty, we are currently helping her with a complete scholarship so that she can attend beauty school. She has a little son whom she loves a lot and she wants to make sure he has a good childhood. For me, the Refugio de los Sueños was a help for me and my parents. I received food, played with many kids who have careers today. Thanks to this place, I learned a lot of different skills when I was young. The opportunity of my life was the scholarship which helped me with my studies. I’m thankful to the Refugio for opening its doors for me and the other kids, for teaching us many different things and to Susette for presenting me to my Godparents John and Carol. Thank you for the help and support and for giving us the opportunity to become better people. Thousand blessing to you and all the Godparents.